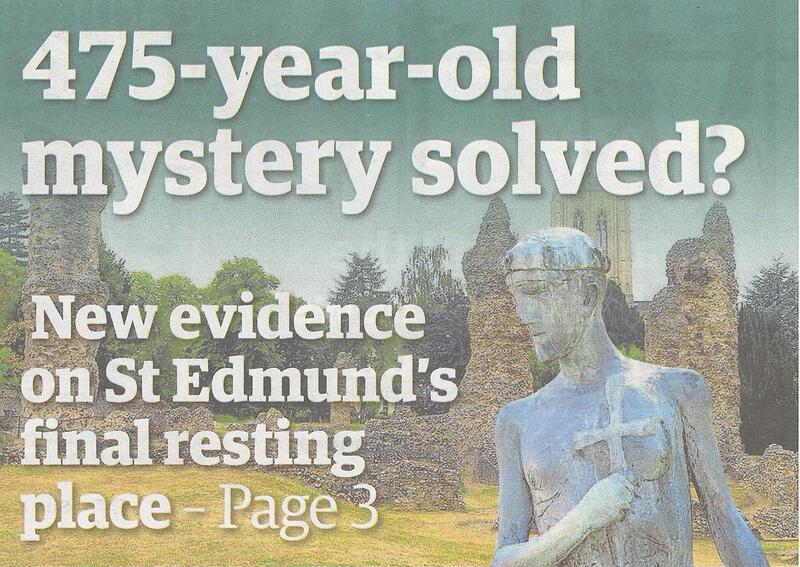 East Anglian Daily Times on Where is St Edmund? 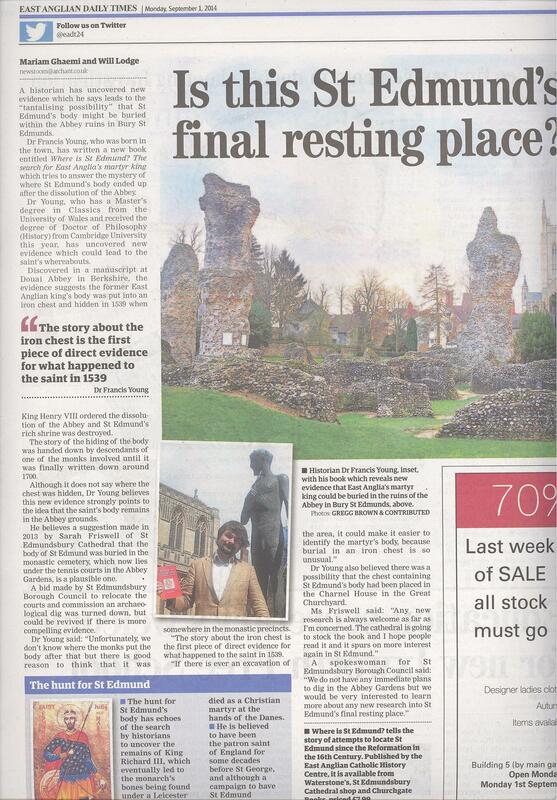 Today’s edition of the East Anglian Daily Times features a full-page article (on p. 3) about my new book Where is St Edmund? by Mariam Ghaemi and Will Lodge. In answer to the question posed on the front cover of today’s edition, ‘475-year-old mystery solved?’, I must say ‘No’, but hopefully the new evidence unearthed by my research can make our guesses slightly better informed. And that is usually as much as a historian can hope for. The article seems already to have generated considerable interest, and I have received requests for TV and Radio interviews from BBC Look East and BBC Radio Suffolk. The media’s focus seems to be on where exactly St Edmund might be buried – which, not being an archaeologist, I can’t really help on. However, at the very least I would hope that I have swept away some of the competing theories regarding St Edmund’s last resting place. 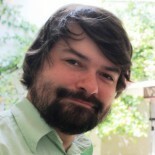 This entry was posted on September 1, 2014 by jacobite.